Yesterday, students from the A.J. 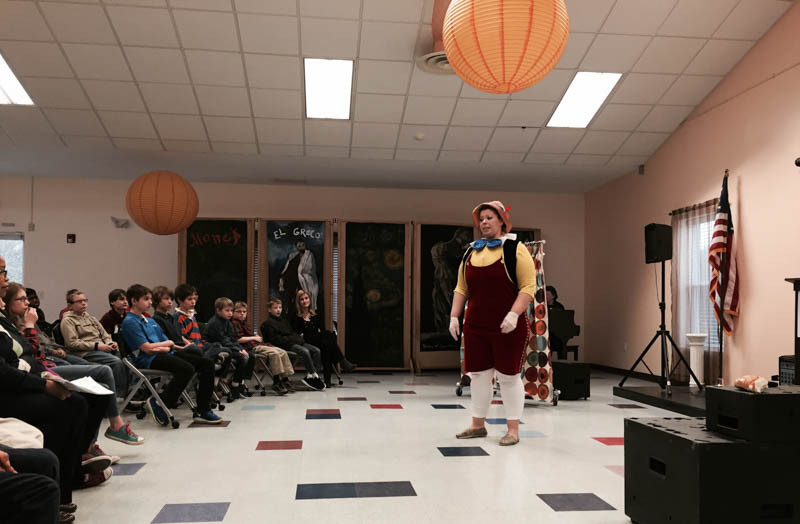 Fletcher Opera Institute​ at the University of North Carolina School of the Arts​ performed Pinnochio for the students at The Fletcher Academy​. The Institute attracts some of the most talented young opera singers in the nation. In addition to their traditional performances at the Stevens Center in Winston-Salem, the students travel throughout the year to grade schools across NC with the intent to inspire an appreciation for opera at an early age. Every year, the kids at The Fletcher Academy and the more than 30 other schools, are overjoyed to receive such exemplary performances at their schools. It is an exiting privilege to introduce world class opera to the students at such a young age, opening windows to a world that has previously only been reserved for the wealthy elite.